When someone looks up an URI, provide useful information using standards. 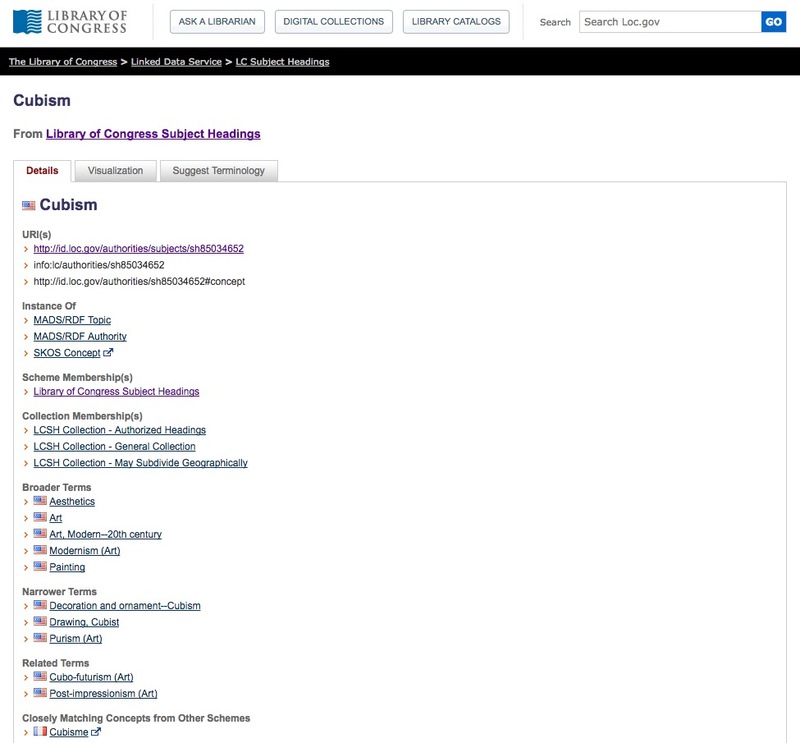 Include links to other URIs so people can discover more. Controlled vocabularies can play a pivotal role to address these two principles. The Library of Congress Subject Headings (LCSH) are without a doubt one of the biggest controlled vocabularies world wide. 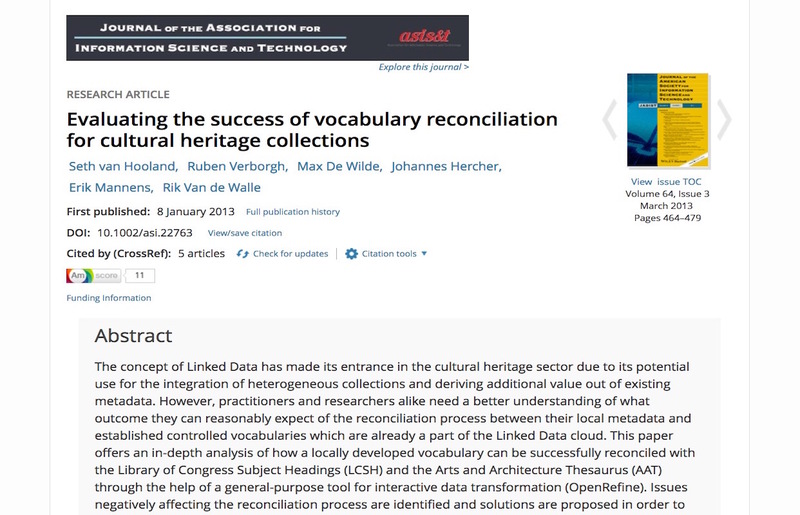 The LoC has published them as Linked Data. Why is this relevant to you? For example, http://id.loc.gov/authorities/subjects/sh85034652.html allows us to look up more generic and specific terms related to cubism, but also includes pointers to other vocabularies in other languages, illustrated by the link at the bottom of the page, referring for example to the French subject heading RAMEAU. Within the LIS community, we think of controlled vocabularies as our crown jewels. However, the outside world does not share our enthusiasm. Often one gets rolling eyes when the development and use of a controlled vocabulary is proposed. 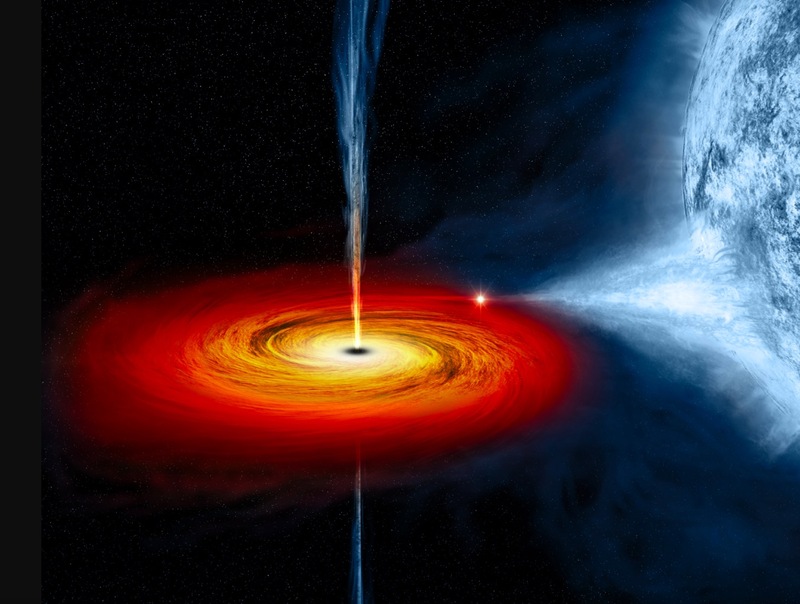 To managers or funding agencies who insist of short-term returns on investment, the development of a controlled vocabulary often is tantamount for throwing money into a black hole. This module will demonstrate how Linked Data can make controlled vocabularies more relevant than ever. It is essential to understand their differences before using them as Linked Data. 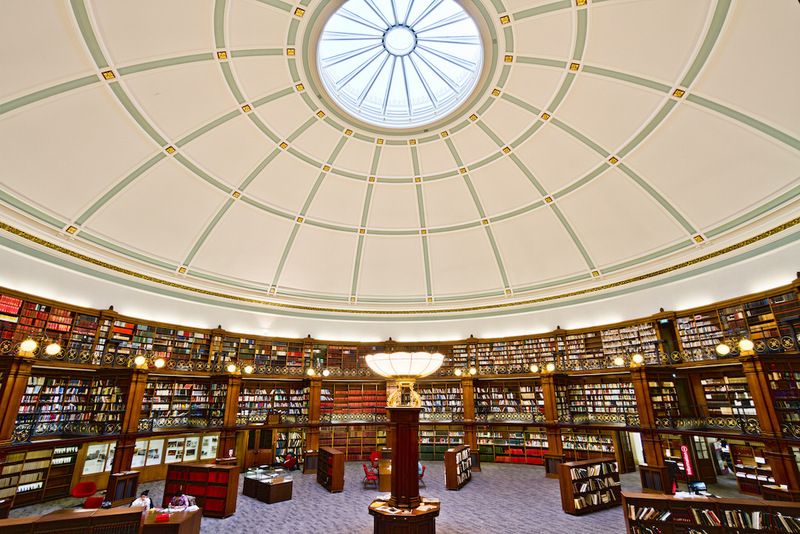 Classification schemes were the first controlled vocabularies to be developed within the newly established field of library and documentation sciences at the end of the nineteenth century. The gradual evolution at that time from a closed to an open rack policy in libraries implied that users were increasingly allowed to browse through the book shelves themselves, instead of having a librarian delivering the books upon request. Libraries therefore needed a method to physically organize their books by subject, allowing patrons to find their way to the book of their interest. The LIS community has a love-hate relationship with the LCSH. It is incredibly rich, but also contains a lot of inconsistencies and the rules to formalize headings can become extremely complex. Jeffrey Pomerantz gives a good introduction in this video to the topic. Represents all the concepts for a specific domain in a consistent manner and labels each concept with a preferred term, as well as synonyms. Hierarchical relationships between concepts are expressed. The only type of controlled vocabulary for which a formal standard (ISO 25964) exists, allowing to enforce compliance. Examples include: Arts and Architecture Thesaurus (AAT), Education Resources Information Center thesaurus (ERIC). 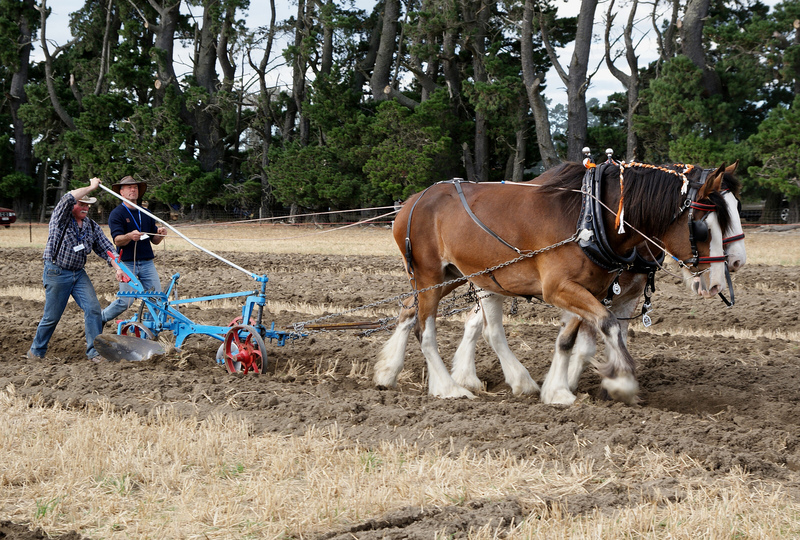 Thesauri can be considered as the working horses from an information architecture and metadata point of view. Well mastered, they can become a very powerful and reliable tool for efficient information retrieval. Difficulties to implement the full-blown Semantic Web and the move to the more pragmatic Linked Data approach stirred new interest in controlled vocabularies. Inferencing capabilities are limited but awareness grew to reuse existing vocabularies to establish connections between data. This evolution spurred interest in the development of SKOS. Confusing relation with ontologies: what is the difference for example between skos:narrower and rdfs:subClassOf? Controlled vocabularies are hierarchically and associatively structured, but do not have the same rigor as formal axioms or facts about the world. Let us look at a concrete example. Point your browser to http://id.loc.gov/authorities/subjects/sh85034652.html and see how the authority file for Cubism is structured and displayed for human consumption on the HTML page. Please scroll all the way down to the bottom of the page, click on the button to download the SKOS/N-Triples representation, and open up the file. Here you find all of the same information as on the HTML representation, but in a more structured and therefore machine-processable format. In order to make the SKOS data more readable, we have slightly reworked the example by adding prefixes, appearing at the beginning and which allow to reduce the length of the file. Let’s create our own thesaurus in SKOS! 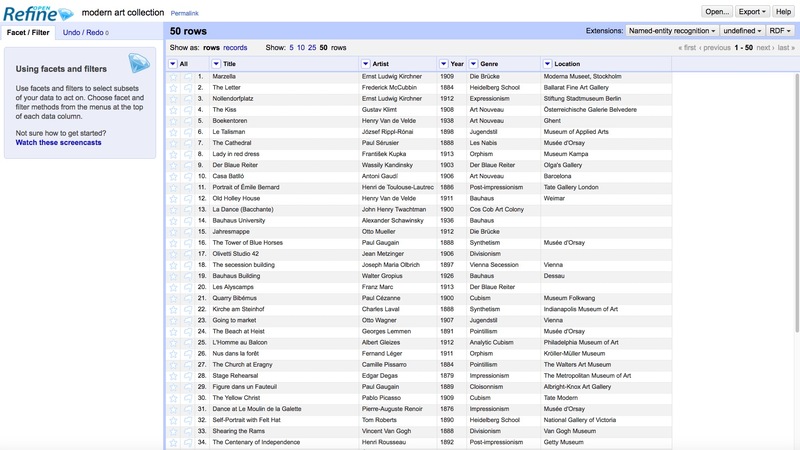 Analyze the Wikipedia page on modern art to collect terms. Once we made a list with the different terms (modern art, cubism, purism etc) we need to establish a hierarchy. Several tools can be used to create thesauri, such as Tematres. However, let’s encode a Turtle file manually. art:ModernArt skos:altLabel "Modern art (1860-1945)"@en. Download our mini-thesaurus in SKOS/Turtle and add some extra concepts! Keep the file, you’ll need it later on. Let us now create connections! In the previous slides, we explained how to create a controlled vocabulary by using SKOS. Now we’ll see how we can use such a file as a reconciliation source in order to create automated connections between free-text keywords and the thesaurus. Obviously, our mini-thesaurus we developed isn’t exactly the most interesting controlled vocabulary to work with. That’s why we’ll demonstrate in a second step how to add LCSH as a reconciliation source in OpenRefine. 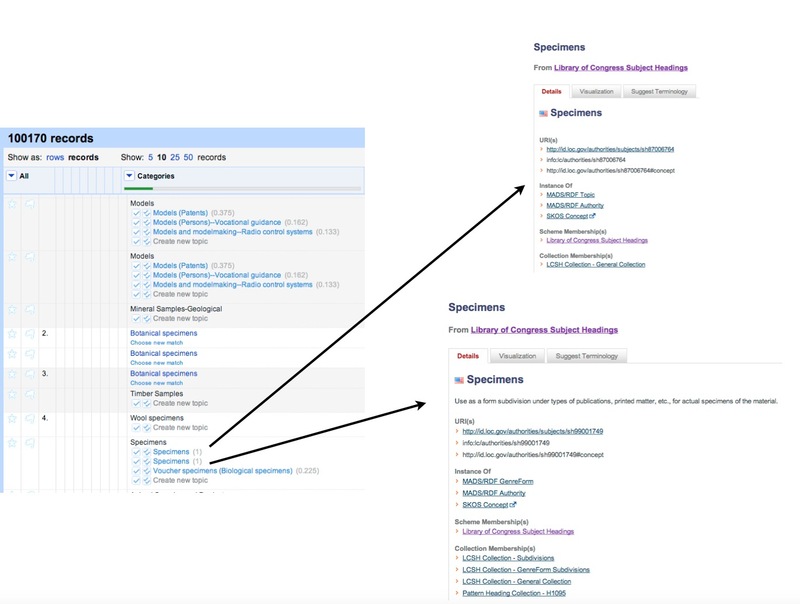 Download the extension and place it in the extensions folder (accessible by clicking on Browse workspace directory from the home page of OpenRefine). A new RDF button appears after the installation. Detailed instructions can be found on http://refine.deri.ie/installlationDocs. You can either create your own metadata, or download our test file on modern art. After importing the file, OpenRefine’s preview will show headers such as Title, Artist, Year etc. As you’ll see some corrupted accents, don’t forget to set the encoding to UTF-8 by clicking on the Encoding field in Preview mode. This screenshot showcases the test metadata we have uploaded in order to experiment with the mini-thesaurus on modern art we have downloaded previously. We’ll therefore focus on the field Genre. Notice how this is very much an artificial exercise, in the sense that we have both created the test metadata and test thesaurus, but we hope you understand the pedagogical value of this step! This screenshot demonstrates shows the pop-up allowing to identify a local reconciliation file in RDF, for which we’ll point out to our mini-thesaurus available at http://book.freeyourmetadata.org/chapters/3/modern-art-skos.ttl. It is of utmost importance to tick the skos:prefLabel checkbox, as we have modeled the thesaurus using SKOS. The Label properties are used to tell OpenRefine for which values it should look inside the thesaurus. Since we did not use rdfs:label, the reconciliation process would not work with it. Once those settings are made, click the OK button. The thesaurus can now be used for reconciliation. After we played with our own mini-thesaurus and some dummy data, let’s work on a real-life case! We have used the metadata set of the museum extensively for various cleaning and linking operations. For this exercise, make sure to download either the cleaned OpenRefine project or create a new project using the cleaned metadata. 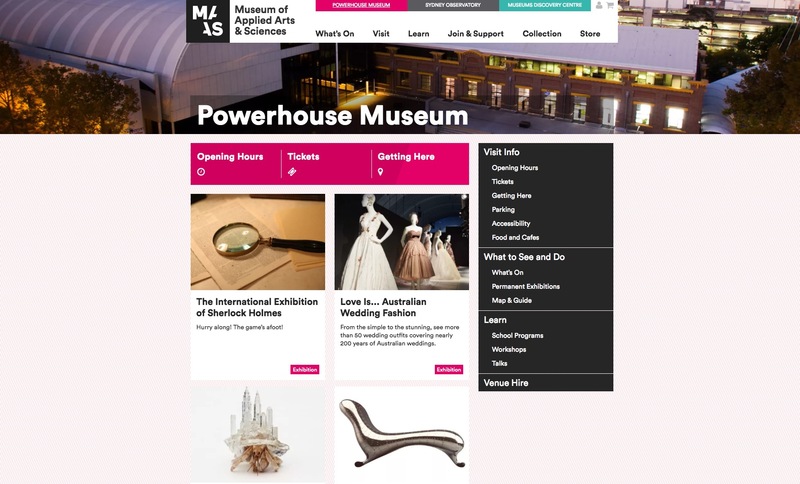 For the reconciliation of keywords with the LCSH, we’ll experiment with the metadata from the Powerhouse Museum, a major science and technology museum in Sydney. For example, skating is an alternative label of the term with preferred label Ice skating (sj96005713), but a separate term with the preferred label Skating (sj85123105) also exists! Subdivision also negatively impact the reconciliation process. This example demonstrates how the keyword Specimen from the Powerhouse Museum can not be reconciled with the LCSH, because OpenRefine can not choose between the two labels which appear actually both in the LCSH: once as a concept and once as a subdivision, which help to create more complex headings. Subdivisions are only present if they do not conflict with an existing main heading with the same label. Alternate labels were only added to the extent that they do not cause clashes with other labels. Click the RDF button, select Add reconciliation service, Based on SPARQL endpoint. Those who wish to go deeper into the details of the pre-processing and the evaluation of the reconciliation results, you can read a pre-print of our JASIST paper. Creating a link between your catalog record and an entry of the LCSH unfortunately does not allow you to be connected automatically with all other records which link to that heading! Always keep in mind that URLs are unidirectional: you point to the LCSH, but the LoC is agnostic of the fact that you point to them. I wanted the act of adding a link to be trivial. So long as I didn’t introduce some central link database, everything would scale nicely. The unidirectionality of links was an explicit design choice. Asking the linked entity to confirm the link would create too much of a bottleneck for the Web to grow. Imagine someone at LoC whose job it is to check each link created to the LCSH… However, alternatives exist, such as Xanadu by Ted Nelson. This video introduces you to two people who played a central role in the history of information technology in the 20st century. During this speech, Ted Nelson honours his deceased friend Douglas Engelbart. Pay attention to what Nelson says around 0:57: I continue Doug’s work by keeping the links outside the document. One of the base principles of Nelson’s Xanadu project was that Links are visible and can be followed from all endpoints. This design choice theoretically allows to add a lot more semantics and value with links, but this complexity also explains why the project has never been implemented successfully. What key aspect distinguishes thesauri from other forms of controlled vocabularies? A formal standard exists to verify their well-formedness. Yes, the ISO 25964 standard defines exactly how a thesaurus should be constructed. A thesaurus provides description at a more granular level. No, this does not depend on the type of vocabulary. Thesauri can be represented in SKOS. Thesauri can indeed be represented in SKOS, but so can other types of vocabularies, as illustrated by the LCSH. Why adding non-preferred terms to a vocabulary? It reduces the negative effect of synonymy on search results. Yes! Even if an end-user performs a search on a synonym encoded as a non-preferred term in regards to the preferred term used for indexing, the results are the same. It reduces the negative effect of polysemy on search results. No! Adding too many and potentially even irrelevant non-preferred terms will increase the negative impact of polysemy. You can increase the success rate of the reconciliation process. Yes! That is, if you have configured the process to include the non-preferred terms. How do labels and concepts relate to each other in a SKOS vocabulary? Labels allow defining the structure whereas concepts can express the specific terms used. Labels are used to express semantic relations between concepts. No, semantic relations are expressed by using properties such as broader or narrower. Concepts are abstract units of thought; labels are strings of characters associated with a concept. 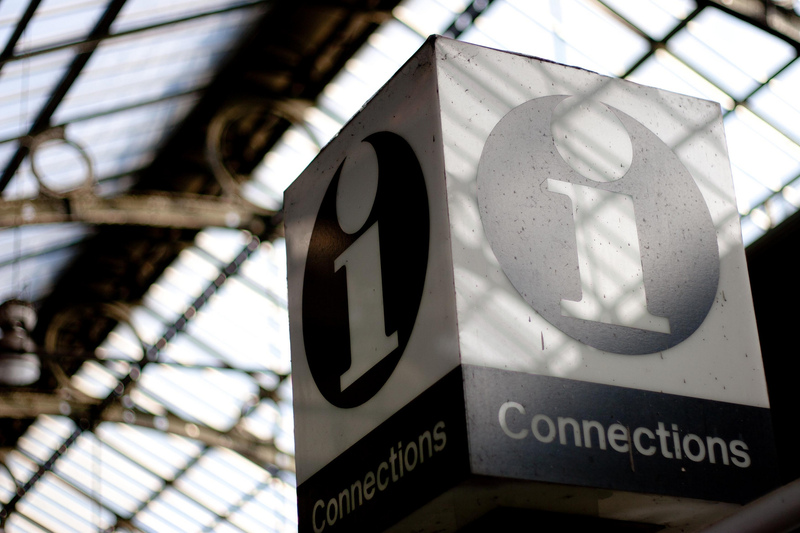 Why is it important to acknowledge unidirectionality when creating URLs? It explains why we don’t need SPARQL. No, it’s the opposite! SPARQL exactly allows us to traverse links in both ways across a graph. It helps understand why it isn’t straightforward to connect all records together which point out to a central authority file. Exactly! It’s not because you link to the LCSH, that the LCSH, or other people referring to the same heading, are made aware of its existence. In order to prevent the creation of dead links. No, but understanding unidirectionality helps us to realize why dead links are unavoidable.